I really love the idea of going running early on a frosty Sunday morning. I dream that I'll run for a few miles, take a gentle jog back home where I'll sit and drink a litre of water and a protein shake, followed by a fruit smoothie. Like I said, I love the idea. In reality I haven't been awake early on a Sunday morning since...well actually I can't remember ever being awake on a Sunday morning. The harsh reality is I'd much rather sleep in on a Sunday morning and then go downstairs for a cup of tea and a big bowl of Coco Pops. I am trying to change though. 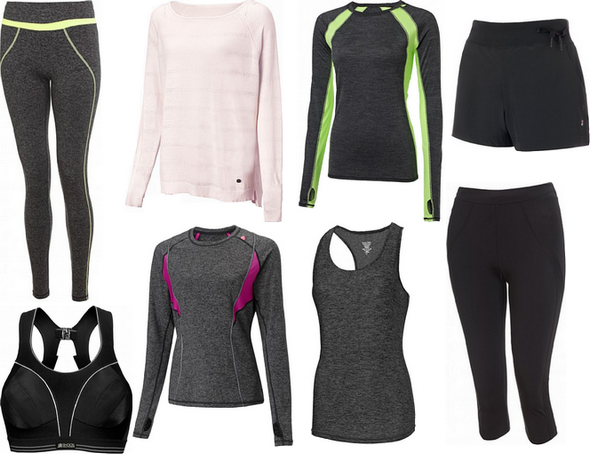 I'm trying to turn idea into reality and first things first: get some pretty workout clothes. 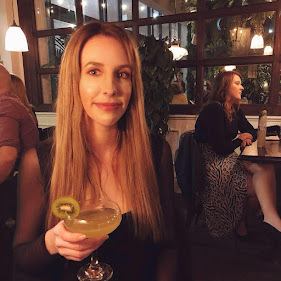 I think one of the points that puts me off exercise (ahem, like I need excuses) was that I thought workout gear would be really expensive when in reality, it isn't. Most supermarkets/high street stores sell workout gear for really reasonable prices so my excuse of 'it's too expensive' is a bit lame. Even Primark have their own range of sports gear now and most of it is quite attractive too. Also whilst we're going on about prices, running around your local park is free so no need for a crazily priced gym membership. Especially if you, like me, would probably be too scared to go. 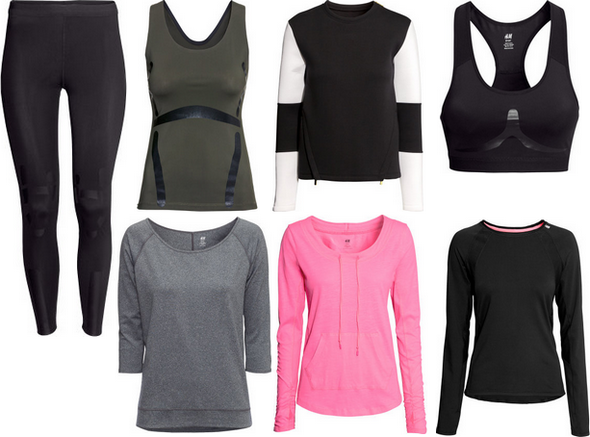 My reasonings are that maybe if I had some nice sports wear then I'd be more likely to get my behind off the sofa and go and get some exercise so here is what a few of our high street retailers have to offer in terms of sports wear. Now I am about 100% sure that if I bought any of the above I will be more than ready to go out for a run. Then again, just because I buy it doesn't mean I will do it but at least I can pretend whilst looking pretty cool. 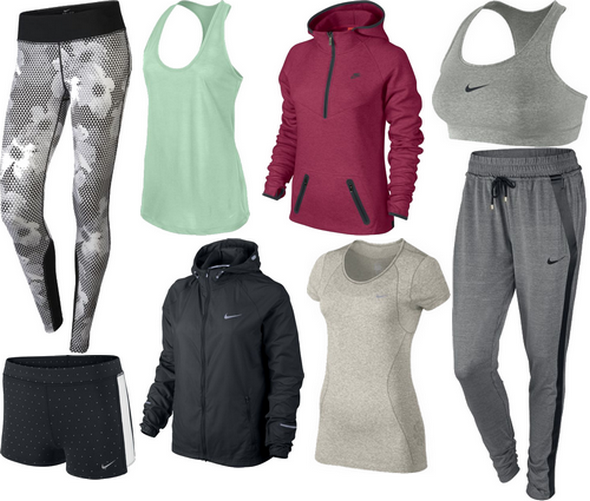 I am actually in love with Nike workout gear. It's so comfy, looks good, and does the job. I got a really nice blue marl tank from Primark though for 4 quid that's actually awesome, though. And a great sports bra, so you're right, don't need to spend much!